Columnist Phyllis Schafly, who is now 90, was the first to identify why Walter Scott was running from a policeman in South Carolina. It was not, as the media alleged, another sensational racism case of a white policeman killing a black man. Rather, it was caused by "Scott's fear that he would be returned to debtors' prison" for failure to pay child support," she reported. "Scott had already been jailed three times for failure to pay child support and he didn't want to be sent to prison again." Debtors' prisons in the United States? They were common in England two centuries ago, and were made infamous by the novels of Charles Dickens, whose own father went to debtors' prison. However, did you realize that part of every county jail is a debtors' prison? In 2009 one in eight South Carolina county jail inmates was incarcerated for failure to pay child support. Fifteen years ago Walter Scott lost his $35,000 a year job with a film company, "the best job I ever had," when he was jailed for two weeks for failing to make child support payments on time. After that he was only able to get odd jobs. "I got mad at everybody in the whole world. I just stopped doing everything." He made payments but fell behind, was sent to prison a second time. Scott told the New York Times that the reason he fell behind is that the checks he sent to a state agency for his ex-wife were mistakenly directed to the mother of his first children! While working in 2011, Scott paid $11,411, but fell behind again and in July 2012 made a lump sum payment of $3,500 to avoid jail, money that came from his parents. Scott resented that his ex-wife was not required to work, and the pressure was always on him to pay support. Two years ago when he owed $8,000 he missed a court date and a warrant for his arrest was issued. By last month, he owed $18,000. When stopped for a broken taillight, he ran from his car. "Everyone knows why he ran away," says his older brother, Anthony Scott. "A bench warrant had been issued for his arrest for failure to pay enough child support." 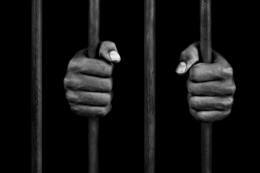 There is massive injustice behind the debtors' prisons. First, the amount of child support assigned to an absent father bears no relationship to what he can afford to pay. "John" in Louisiana owed over $45,000, based on money which he NEVER earned, according to his father. He has payroll and Social Security evidence of his actual income which was ignored by the court. Second, the amount owed grows while he is in jail, though he obviously has no way to earn money while incarcerated. If he loses his job, child support payments are not adjusted, and most men in debtors' prison do lose their jobs as Scott did. Third, bankruptcy cannot be declared – as corporations can do, and pay back only pennies on the dollar. "A man can never get an alleged `child support' debt forgiven or reduced, even if he is out of a job, penniless, homeless, medically incapacitated, incarcerated (justly or unjustly), can't afford a lawyer serving in our Armed Forces overseas, isn't the father or never owed the money in the first place," writes Schafly. Why was this unjust system with debtors' prisons created? In the 1970s and 1980s, there were press stories about affluent fathers who were not paying child support, though they could clearly afford it. They were famously called "Dead Beat Dads." The prospect of facing jail prompted many Dead Beat Dads to pay up. However, millions of poor or near poor men simply can't afford what they are assessed. Rodney Scott recalled seeing his brother plead to a judge that he just did not make enough money to pay the child support order. He asked the judge, "How am I supposed to live?" "That's your problem. You figure it out," replied the judge. 1. Base child support payments on the father's income with no more than 25% deducted from paychecks. 2. Require mothers to work. 3. Allow fathers to declare bankruptcy. 4. Finally, close debtors' prisons. No one should be jailed unless they really are Deadbeat Dads with money. Walter Scott's death would then have a meaning.